Interested in living on campus? Northwestern was ranked the most beautiful campus in the Midwest. 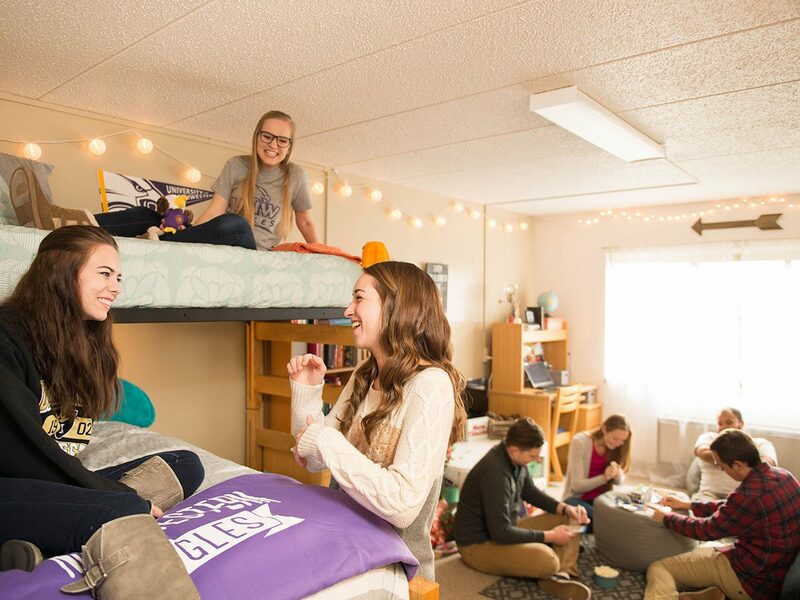 We offer beautiful residence halls, lots of fun activities, and an intentional community where you can grow in your faith alongside your peers. Living on campus provides moments, big and small, to build life-long relationships, enjoy great events, and experience personal and spiritual growth. 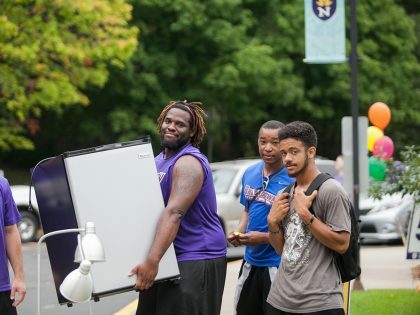 Northwestern residence life is Christian community at its core. Here you can join small groups, be mentored by resident assistants and ministry partners, and grow alongside your peers. Our campus, nestled on Lake Johanna, has been ranked as the most beautiful campus in the Midwest. The classical architecture of our historic buildings and wooded landscape is a striking retreat from the modern metropolitan setting of nearby Minneapolis and St. Paul. 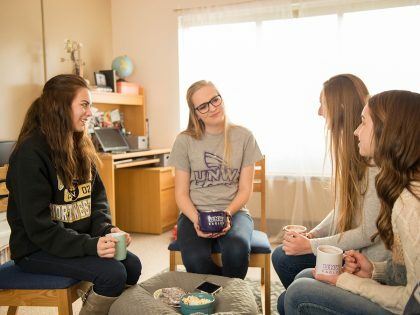 Students enjoy a peaceful home with lots of opportunities for activities and a great calendar of athletic, music, and theatre events, all on campus. Graduate students and undergraduate students who are at least 25 years old or who are married can live in leased housing in the Pittman South Residence or the Southeast Residence buildings. Curious how to apply for housing? Do you have special housing needs? Check out our list of common questions that students ask regarding living in residence halls. University of Northwestern partners with Bon Appétit Management Company to provide food to students, employees and guests in an environment that encourages community.